I am zipping down Broadway when I jam on my brakes and skid to a stop on my Citybike. 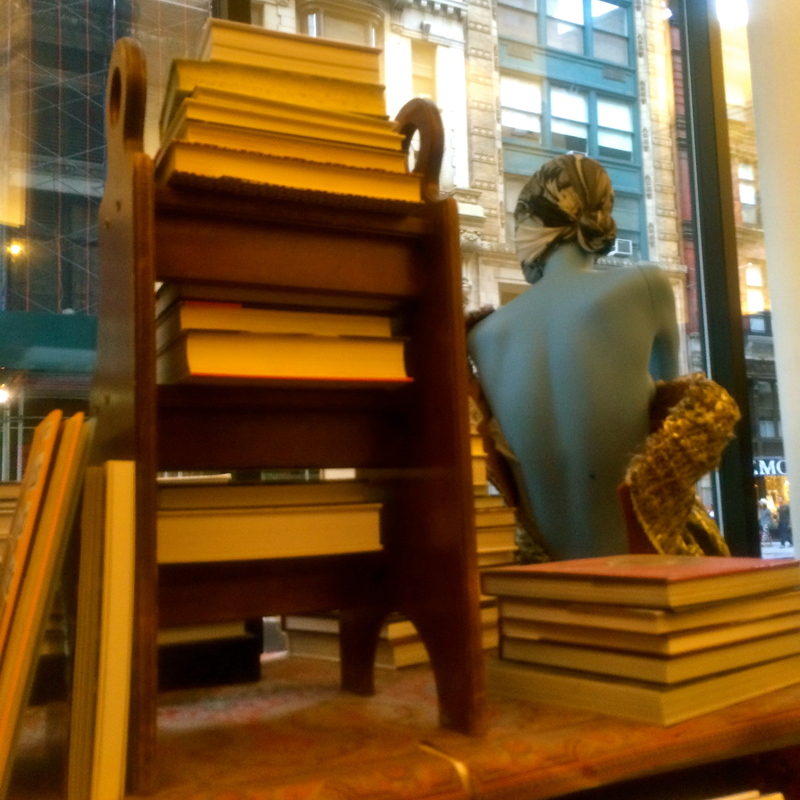 The Rizzoli bookstore has opened near Madison Park. That stretch of bike lane doesn’t usually offer much in the way of sightseeing bar occasional glimpses of women in traditional African dress (one carried her shopping on her head the other day), some bike lane-blocking food carts, and a weird karaoke bar whose stage and singers are in the window under a neon light. But this prompts me to dock my bike, irregardless if there’ll be another one available when I need it. I’m going for a snoop. New Yorkers were upset to see the iconic 57th St location close in 2014 to be demolished for a luxury hotel (oh, don’t get me started on that topic) but now it’s reappeared all the way downtown, I’m thinking What luck! 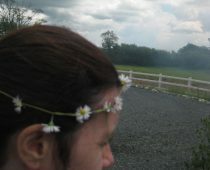 As I approach, I squint. 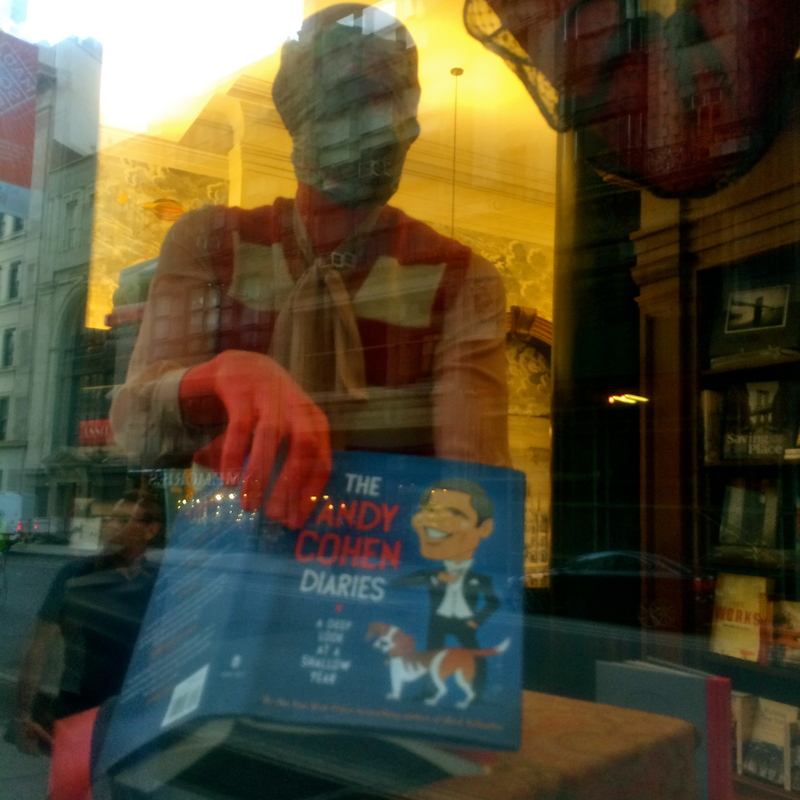 That mannequin in the window holding a book (The Andy Cohen Diaries) looks like it’s dressed in the Fall Gucci collection. Wait, it is the Fall Gucci collection! 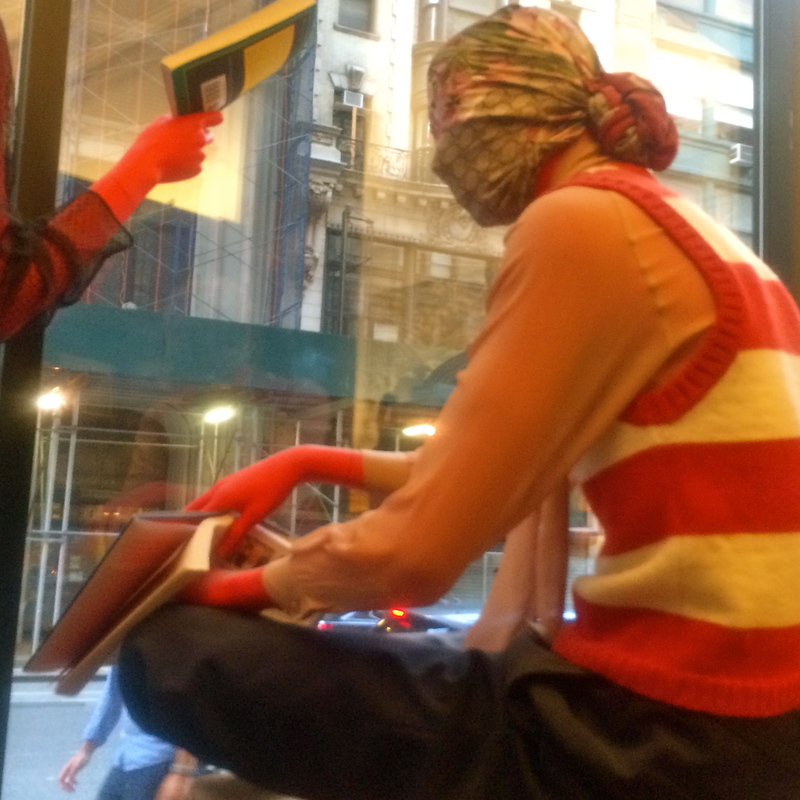 Yes, the much- praised Alessandro Michele one. 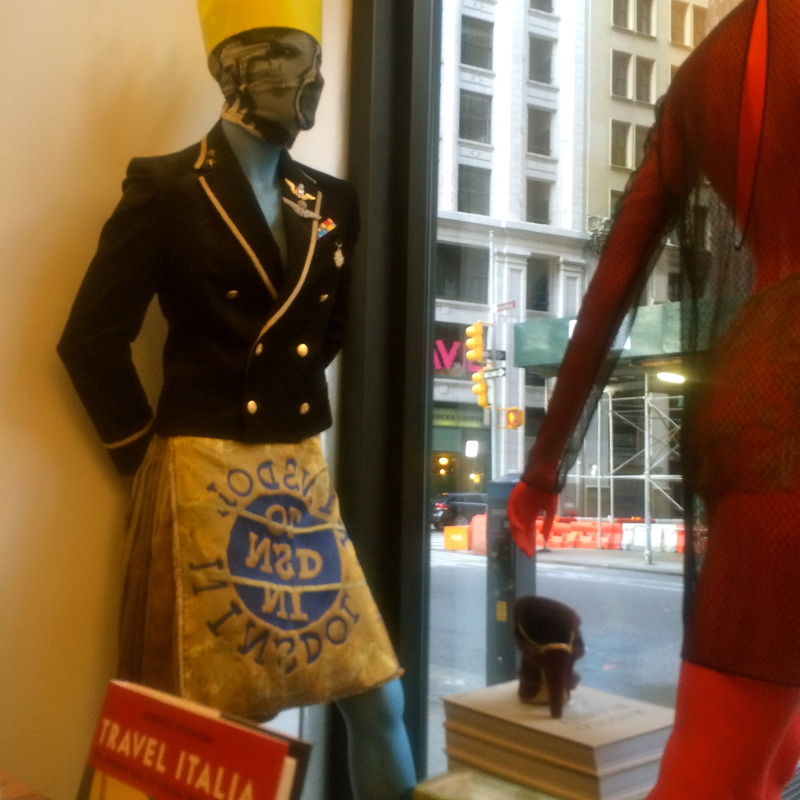 And there’s a Vivienne Westwood gown in the window too, shipped in from London, no less. 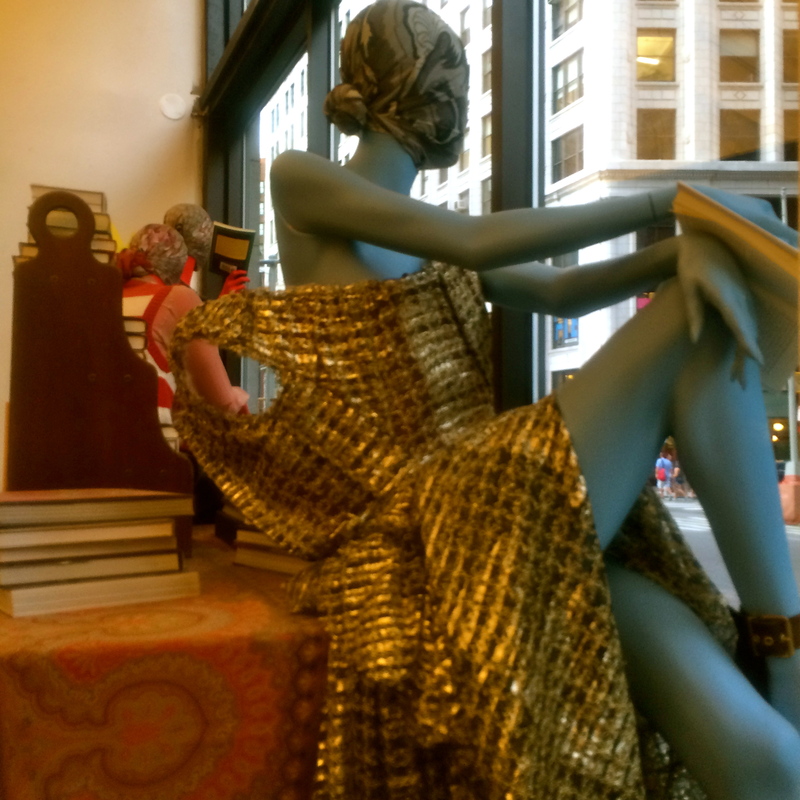 Fornasetti Milano have created the whimsical wallpaper and André Leon Talley is the brains behind the window display. 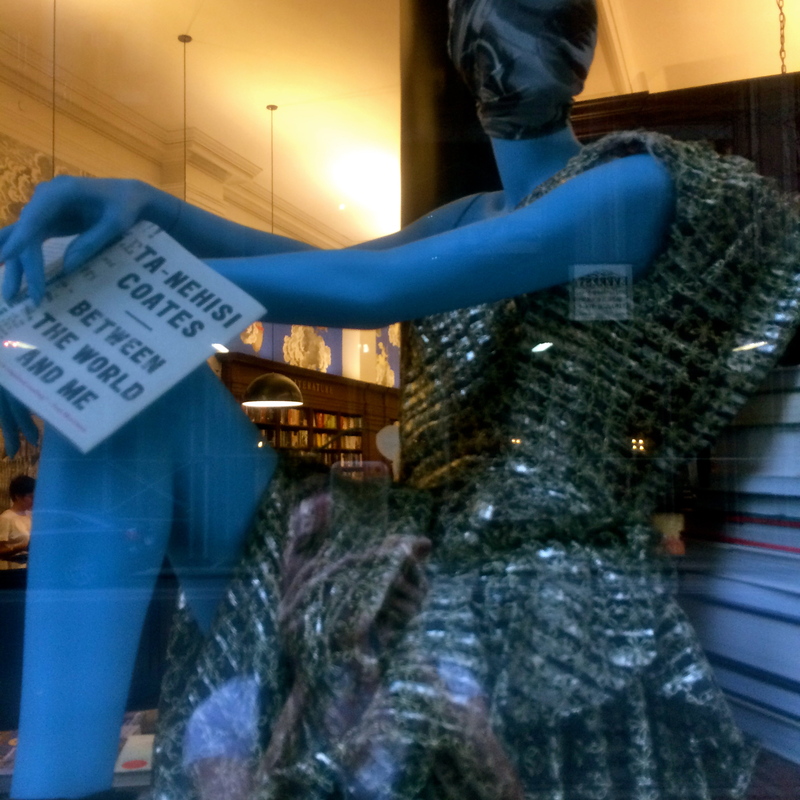 Where my two passions, fashion and literature, meet, there lies Rizzoli… Her dress appears to be falling off but then a well-crafted sentence can have that effect on some girls. Why not read your favorite novel with your head swathed in finest quality printed Italian silk? Anything that makes book hoarding appear glamourous, I’m in. That Bravo Housewives guy is ubiquitous! 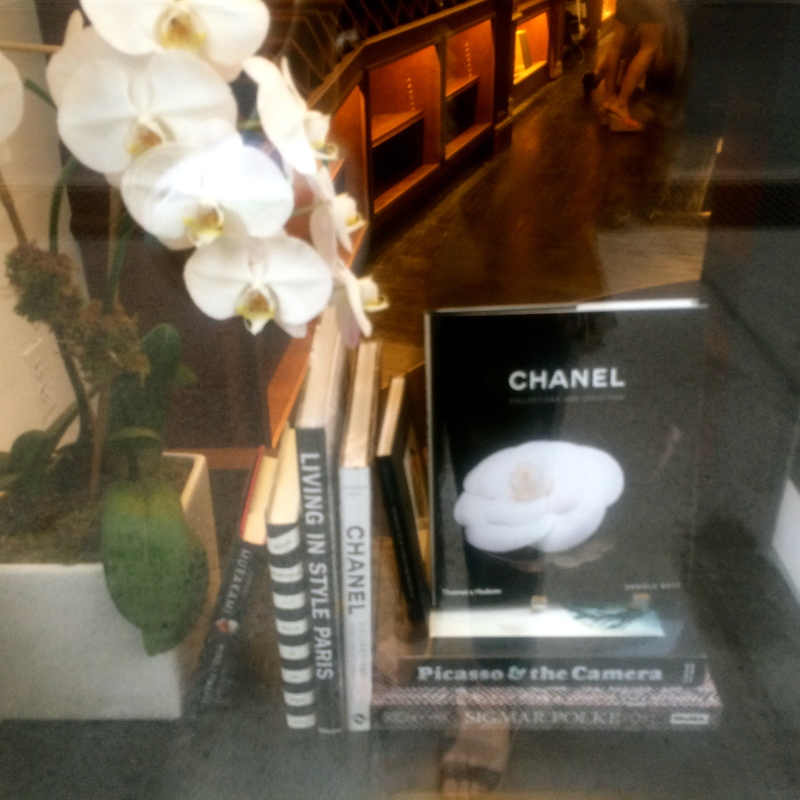 There are piles of fashion tomes, a whole wall devoted to art from Sargent to Haring, and a floor-to-ceiling section featuring books on gardens, underneath high ceiling, chandeliers, and amidst marble pillars. 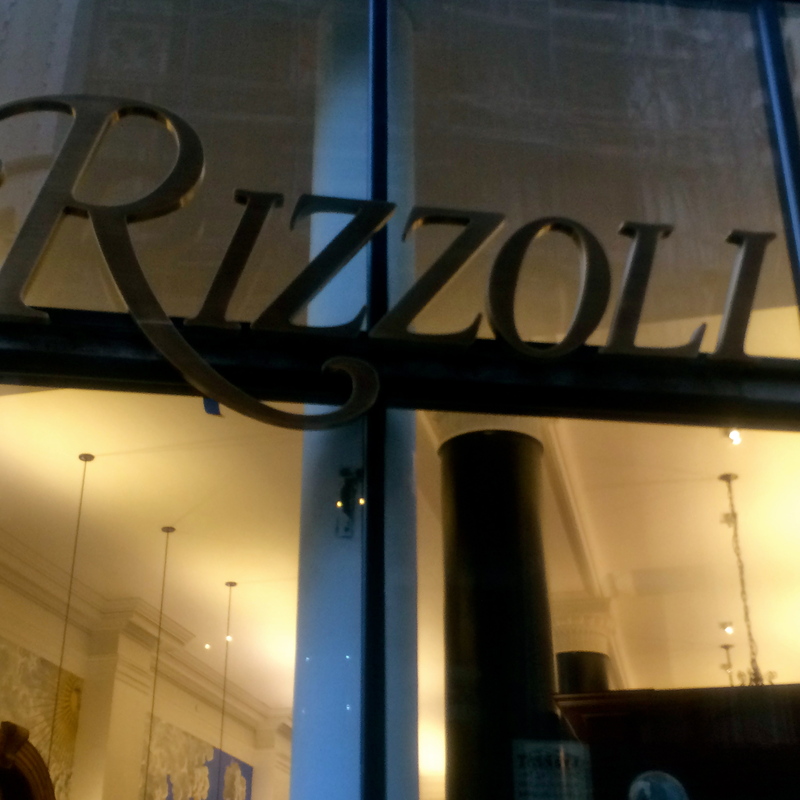 Whoa, flashback…I’m reminded that it was Rizzoli Milano where I went for my English language books when I lived in Italy. So there’s nostalgia emanating from the cherry wood and zebra crossing-style floor tiles… Beyond that red door, the sound of jackhammers emerges to blend with the melodies of Chopin as the rest of the store is still being constructed. A fine layer of dust hovers over the smell of brand new books. That’s so my style: to put the bookshelves in before the rooms are complete! I am immersed in six pages of glorious colored shots of Loulou de la Falaise’s apartment in the something arrondissement (it’s in Paris, what more do you need to know?) when they tell me for the fourth time they are closing and I must leave. Puttin’ on the Rizz. 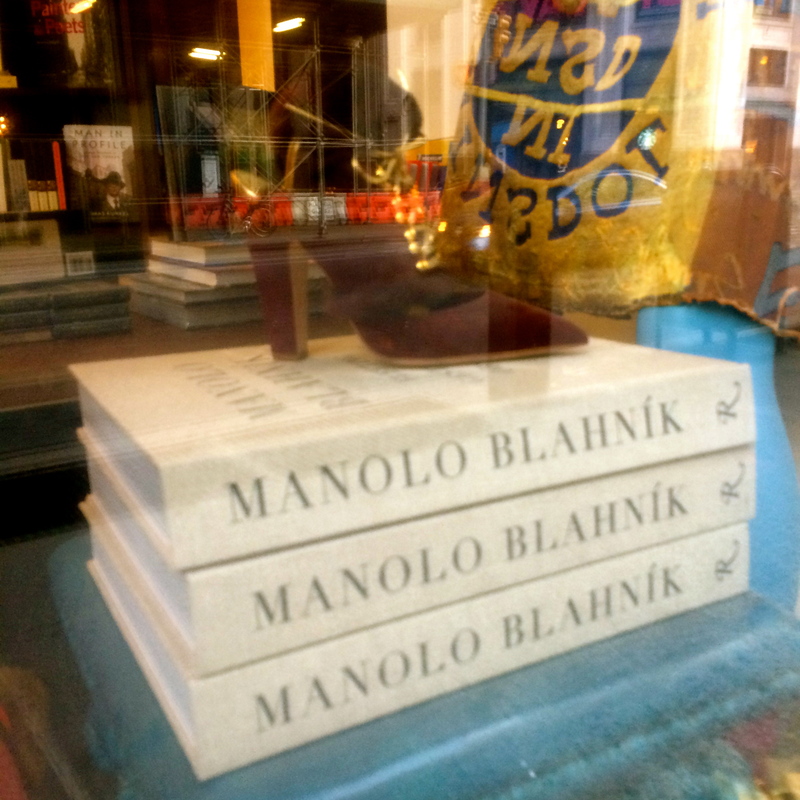 My first novel, Silk for the Feed Dogs, a work of literary fiction set in the international fashion industry which, as it happens, would look very well in this store (it’s where fashion sits), is available here. What a wonderful shop! 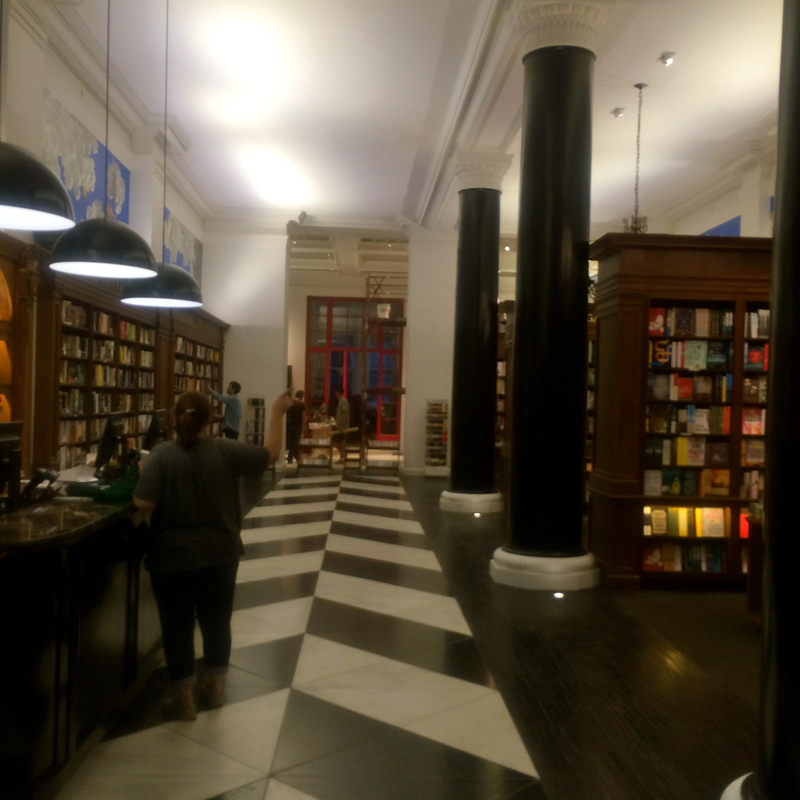 Access to bookstores like this one may just win me back to big city living one day. 🙂 I do love a good book store. Could spend hours there. I get carried away once inside. 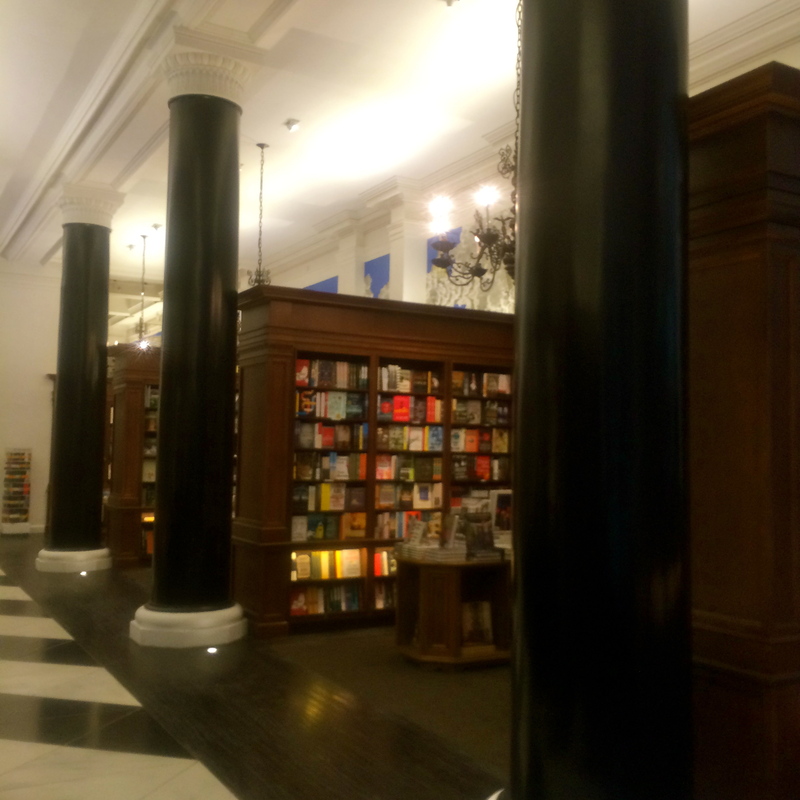 Not many of these beautifully big book stores left anymore. They go all in, don’t they?They commit. And I will commit to buying at least some of my books there and not sneak off to Amazon for a cheapie and then complain when stores like this are left struggling to pay the rent! Just fabulous. We need one of these in Ireland. There are some lovely bookshops, but nothing really way out there. When I have a spare million to squander I’m all over it.